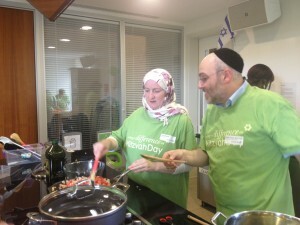 We know that real relationships cant be built in a day. 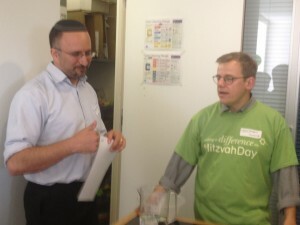 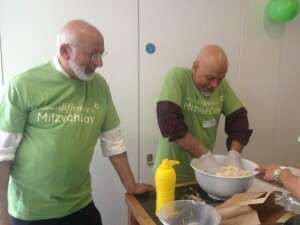 Mitzvah Day is a wonderful way to celebrate the good we can do with our time but building a real bond with a church or mosque based group simply takes longer. 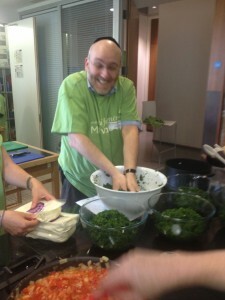 Mitzvah Day cooking is an amazing way to do something for those less fortunate than ourselves, to make new friends and indeed, to have fun. 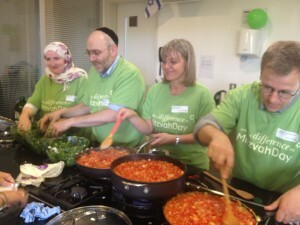 Rabbi Harvey Belowski, Incoming Mayor Lazzaro Pietragnoli, Saleem Kidwai from the Muslim Council of Wales and Mitzvah Day inter faith Chair and Lady Mayoress, Daniela Pears.